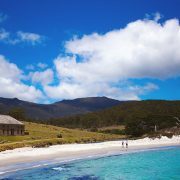 Derby, Tasmania is a world class MTB destination. In April 2017 it held the second event in the World Enduro Series. This was the first time the event has come to Australia and its no surprise that Blue Derby got the nod. It is not only Australia’s premier mountain bike destination but stands tall against other world class international destinations. The trails run through temperate rain forests and cater for all abilities. Created by World Trails, many of us are unlikely to ride better trails than these in our life time! 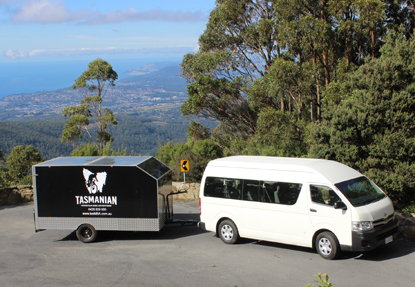 Importantly let Tasmanian Mountain Bike Adventures take you on a Derby mountain bike tour! The trail systems are well designed and mapped. They are coded green, blue, black and double black. One of the most recent trails is the Blue Tiers Decent. It is a 19.1km trail that has to be ridden to be believed. This trail is only for intermediate riders and above as it requires good riding fitness and the ability to cope with big berms as the trail runs into ‘Big Chook’, before finishing at the Weldborough Hotel. For those with good legs you can then ride up a gravel road for 7 Kilometers to the start of ‘Atlas’ that will run you all the way back into Derby. Getting to the Blue Tiers trail head will require a shuttle for most riders as it is a 50 minute drive from Derby. Above the historic tin mining town of Derby lies an assortment of trials that will keep you entertained for days. Even the up tracks here are so well made, you wont believe how easily you climb. Trails such as Flickerty Sticks, Return to Sender, 23 Stitches are just a few that wont leave you disappointed. Please make sure you ride to your ability here, you can trust the coding pretty well. Be aware that during winter, some trails such as Blue Tiers may be closed for track preservation. © 2019 Tasmanian Mountain Bike Adventures.